Exploration at Lithium Australia’s Ravensthorpe project continues to provide a level of intrigue, with early results from a new drill program outlining a flat, thick sheet of potentially Lithium bearing pegmatite. The ASX-listed Lithium explorer and developer of the breakthrough Sileach Lithium processing technology reported on Thursday it had completed a 29-hole RC drill program at the Horseshoe Pegmatite, one of three main prospects at its Ravensthorpe project. The Horseshoe Pegmatite is within the same pegmatite swarm hosting the Mt Cattlin mine, where Galaxy Resources resumed production earlier this year. 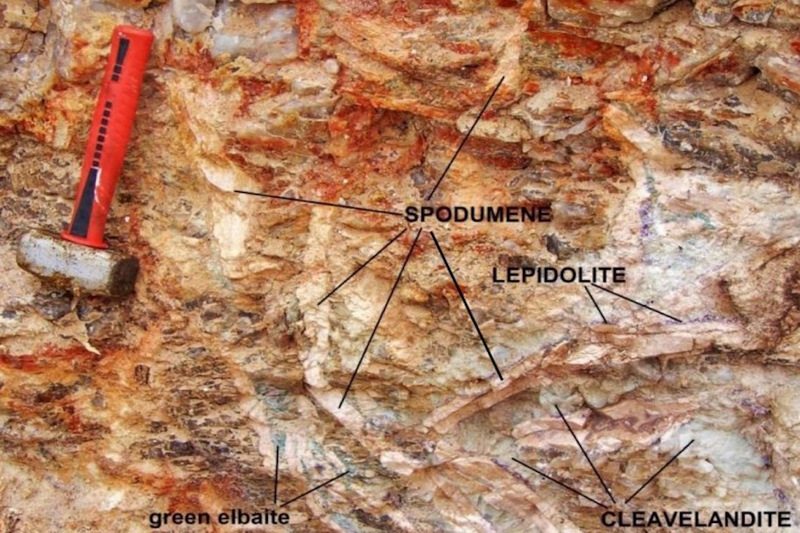 Drilling showed the Horseshoe pegmatite is a relatively flat, sheet-like body with a true thickness ranging from 15 metres to 25 metres. The pegmatite, which has an already impressive surface expression of 800 metres by 800 metres, continues west under cover and remains open in that direction. Importantly, the major Lithium ore minerals of spodumene and lepidolite were visible in drill chips and assay results due next month will provide crucial grade information. Trench sampling has already shown strong similarities to Mt Cattlin and produced some impressive numbers, including a metre at 2.91% Li2O. A second stage of the drill program to test the Deep Purple Pegmatite has been postponed because of heavy rains which have restricted site access and affected the stability of drilling sites. Ravensthorpe is the latest in a series of aggressive exploration projects by Lithium Australia as it seeks out potential feedstock for its Sileach processing technology in Australia and abroad. Sileach has the potential to halve processing costs because it extracts lithium without the high costs of roasting and could transform the economics of lower grade deposits. Lithium Australia are on track to approve a US$42 million Sileach pilot plant before the end of the year after a detailed engineering study showed Sileach could be profitable even at the pilot stage.